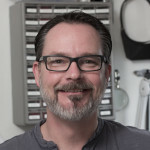 You don’t have a purchasing department… you don’t have a component engineer…you don’t even have an intern… so buying parts and getting reels falls on your shoulders. This isn’t buying one or two components in an antistatic bag or buying cut tape, either. 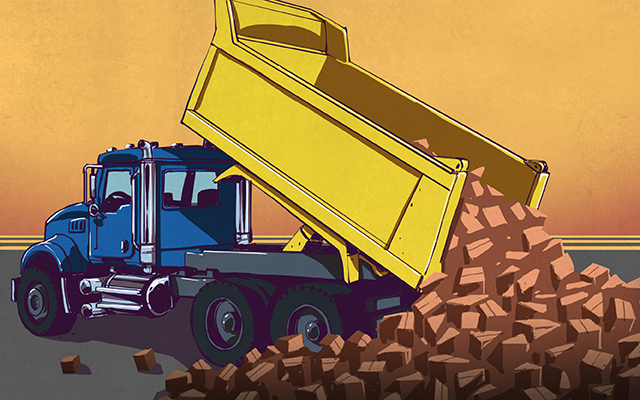 You’re buying in bulk: hundreds or even thousands of a single component. Is there anything you should know going into it? Components can be packaged any number of ways for delivery to your contract manufacturer of choice, and you’ll want to be in contact with your CM to ensure that you’re choosing packaging their assembly processes are compatible with. The way parts are packaged when buying in bulk is easily forgotten during early product design stages. It’s one of those “keep in the back of your mind” design aspects that requires slight but constant attention. How the components arrive to your assembly house can deeply impact the speed, cost and effectiveness of the manufacturing process. Let’s take a look at the variety of types and the pitfalls of each. It literally is a reel of parts, similar to movie film reels. The parts are on a tape that has perforations on one or both edges to allow it to be fed by a gear and sprocket. The reel itself is made of flimsy plastic. The tape is either a thin plastic with molded pockets for the component to sit in or a white cardboard material with punched through part pockets. The reels are normally covered with a thin plastic film to hold parts in place and still view the components. In tape wider than 32mm, there are perforations on either side of the carrier tape to stabilize feeding the wider component. Axial-leaded through hole components, like resistors, come bonded with both ends in tape. These are packaged in a cardboard “ammo pack” box that can be mounted to an automated feeder. The component leads are what is used to advance the tape, usually cutting and bending the component to the appropriate size prior to board insertion. The insertion can be done by hand or using automated equipment. For items like big electrolytic capacitors with axial (vs radial) oriented leads, both leads are mounted on the same tape. 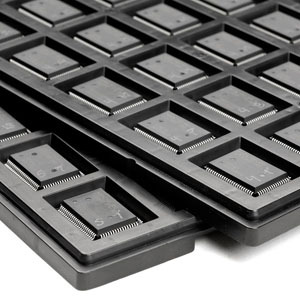 Large QFP / QFN packages or oddly shaped through hole components may come on a tray, commonly called a “waffle tray”. The components are laid out on a grid. The surface of the component best suited to the suction head of a pick-and-place machine will be oriented upwards. If the quantity of ICs you’re purchasing is less than 50, or uses a DIP footprint, it may be offered in “tube” packaging. A tube is just that, a clear plastic tube, molded in such a way as to protect the pins of your IC and keep them from being bent out of shape. 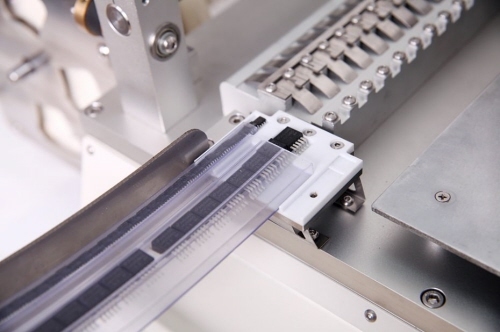 The tubes are mounted at a slight incline to a pick-and-place machine via a tube or “stick” feeder, that gently vibrates the parts down the channel inside the tube. As the name suggests, this is the common “baggie of parts”. This is the last choice you should go with when purchasing large quantities of parts for your assembler. If this is your only option, it is good form to send an apology note to the assembly tech that winds up having to deal with it. This packaging type is the least friendly to assembly processes and often has a large human interaction component. 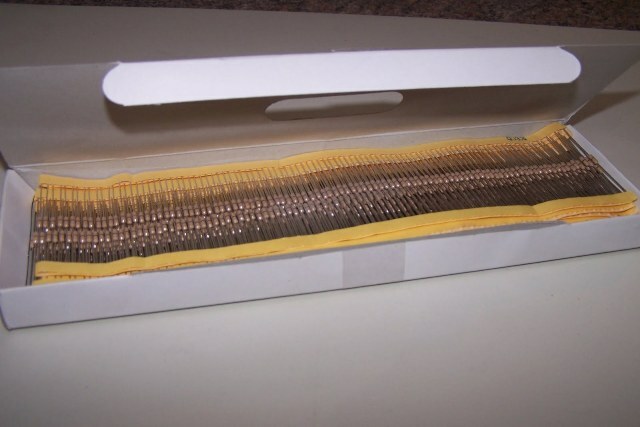 True Story: your author once sent what he thought were 330 pin headers packaged “bulk” to the CM he was working with, but didn’t open the box when kitting the components to see what was inside. It turns out the headers were all individually packaged — 330 individual plastic bags — that the CM then had to cut open, shake the header out, and finally hand solder in place. The CM was not pleased. 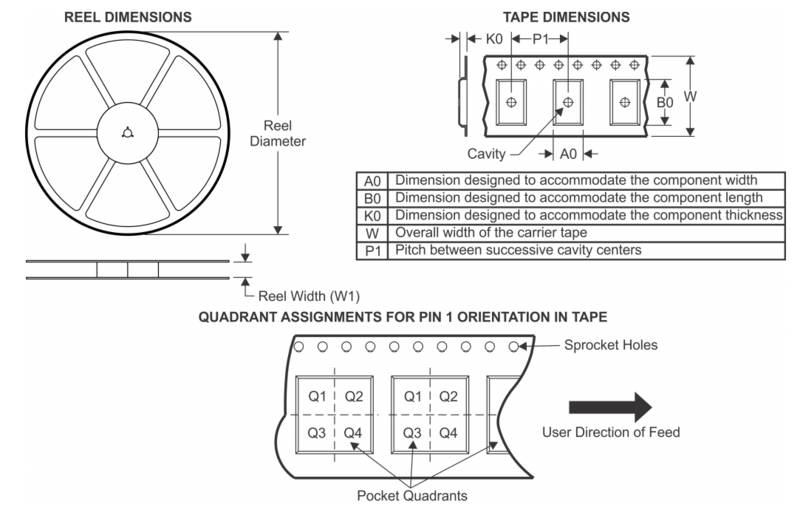 Depending on the physical dimensions of a component, a reel might hold anywhere from 100 to 4000 units on a single continuous tape. To buy a “full reel” requires you to purchase all 4000 (or the max amount on reel). Distributors receive their components from the manufacturers in this manner, as do high volume manufacturers. However, if you only need 1500 of the 4000 resistors on a reel, you may not want the extra 2500 just sitting around collecting dust after your production run. In this case, most major distributors offer a custom “reeling” service. For a (generally fixed) fee on top of the part cost, they will take the amount of parts you need, spool it onto an empty reel and add supply the correct length of “leader”. The leader is the length of empty tape necessary to feed through the sprocketing on the pick-and-place to get a new reel started on the machine. Without the tape leader, the CM will strip components out of the tape to get everything set in the feeder, and they won’t attempt to place those loose components — that’s lost money to you. Purchasing less than full ammo packs or trays isn’t as much of an issue as the pack or the tray is loaded physically into the machine, and don’t require a geared feeding mechanism to be accounted for: it’s just as easy to hook up 25 piezos in an ammo pack as it is 2500, and it’s just as easy to have a tray of 2 QFNs as it is 25 QFNs. Note that all of these different packaging methods have different line items (cut tape vs. partial-reel vs. full-reel). You’ll also notice significant pricing differences against those line items. As the engineer in charge of buying the correct part, double check the exact part number and quantity level. Not all pick and place machines are created equal. Most have the ability to have trays mounted in the assembly mechanism, but not all (usually the smaller ones you’ll find at lower volume CMs). Additionally, when the CM bought their pick-and-place, the feeders were purchased separately. It is common practice to have feeders ready for common passives sizes (0805, 1206, etc). as you grow into larger sizes (SOIC16, BGA, QFP/QFN and the like), they may not have the feeder available to mount your reel. 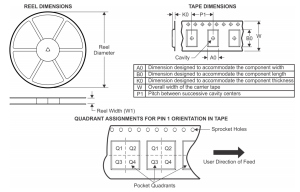 In the vast majority of cases, the datasheet for your component will have the bulk packaging dimensions listed, as well as the footprint dimensions, as shown in the Texas Instruments datasheet excerpt below. There are many crucial pieces of information in there, including the location in tape of Pin #1. Your CM may have you verify this information against the rotation or placement file you sent. Going line by line through your BOM with the CM is good practice, just to verify that there aren’t any “gotchas” waiting to happen. Your CM is your business partner. Treat them well and give them the right supplies to make their life as easy as possible. Doing so will pay back in the form of production runs that come in on time and on budget.